If you are here attracted by the writing of the title, that you know that it is not more than a parody, a critic to those deceitful, captious holders, that only look for to make visits to web pages of the most strange. I criticize it because I get very angry and I always end up biting. 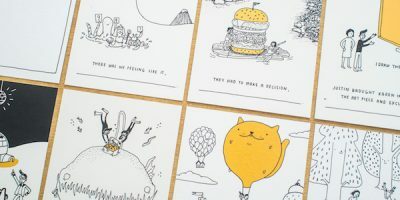 I do not want to do an exhaustive compilation but I would like to highlight some illustrators whose work I admire, such as Ester Garcia who in her work “Natural selection” (Ed. 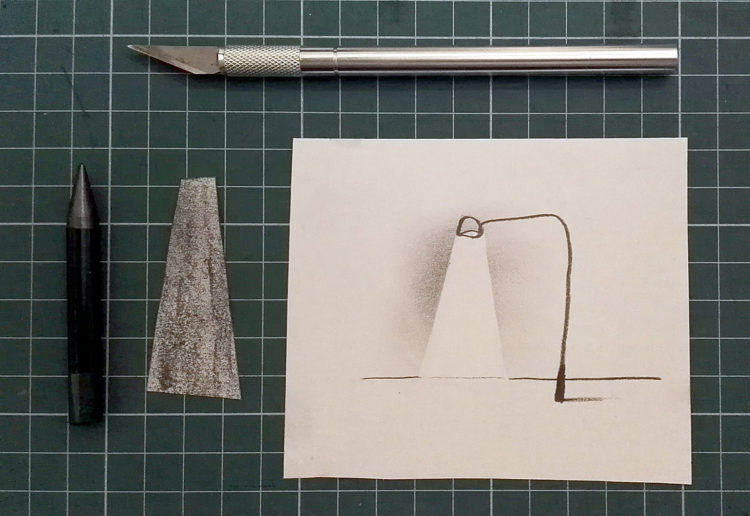 Nordica, 2016) gives us beautiful illustrations made with graphite pencil. Noemi Villamuza , whose illustrations, featuring graphite, are sometimes accompanied by other techniques (digital color …), Ana Juan , whose mastery with this technique manages to transfer you to fantastic spaces, Ana Sender , who recently published “Villa Diodati ” (Ed. Aventura, 2018) with some wonderful illustrations in pencil, or the impressive portraits of Concha Pasamarand I also want to mention other illustrators such as Anuska Allepuz , Rebecca Green , Anja Susanj , Giulia Tomai or the brilliant Isabelle Arsenault among so many virtuous pencil illustrators. Take a look at their work and if you want to learn the technique, I recommend that you train by copying some of their illustrations. The graphite pencil mines are made from a composition of clay and graphite that varies depending on whether we speak of soft pencils or hard pencils. The graduations of the soft pencils will go from the HB that is the intermediate hardness, to B, 2B, 3B, 4B … so generally up to 9B (depends on the marks). 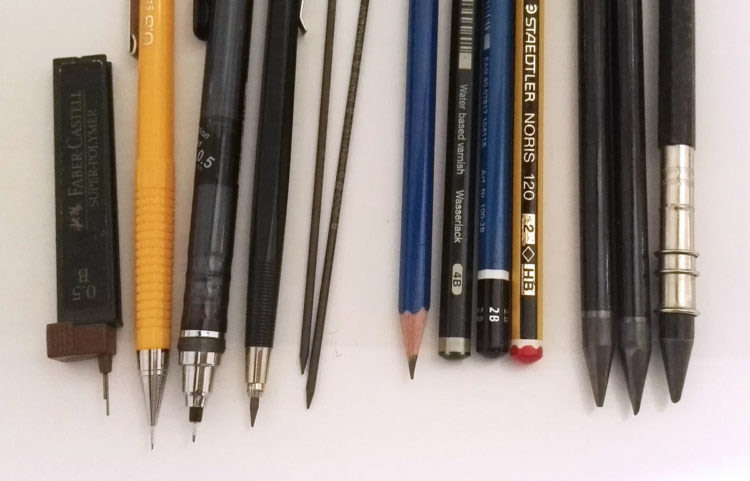 The graduation of the hard pencils will also go up from HB, H, 2H, 3H … to 9H (also depending on the brand). 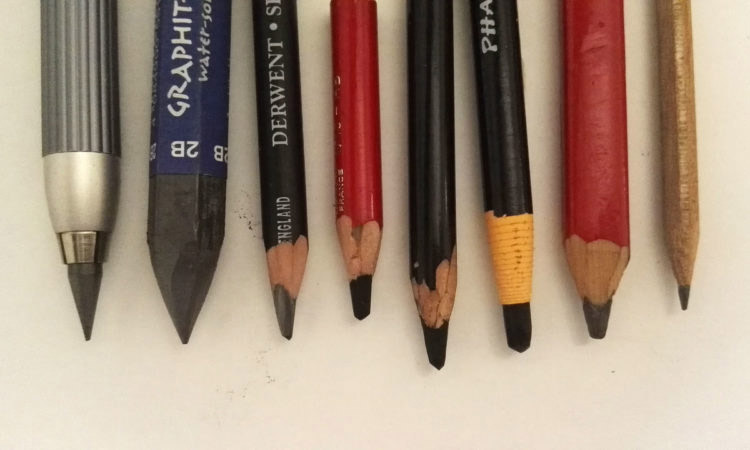 According to its presentation we can find the pencil in its traditional format, mine covered with wood, but you can also find the graphite in bar (without wood coverage), in fine mines for mechanical pencils (0.3, 0.5, 0.7, 2mm …), and you can also find the graphite in bar, in powder and even in ball ! The pencil is an ideal tool to make line drawings, a line that we can nuance, modulate, decline, in a thousand ways by tilting the pencil on paper, sharpening the tip more or less, pressing more or less, using soft or hard pencils or making the stroke clean, broken, broken … There are so many nuances that can be drawn …! Well with different types of lines or strokes or with other techniques that I will talk about below, you can design different textures with which we can give body to our illustrations. 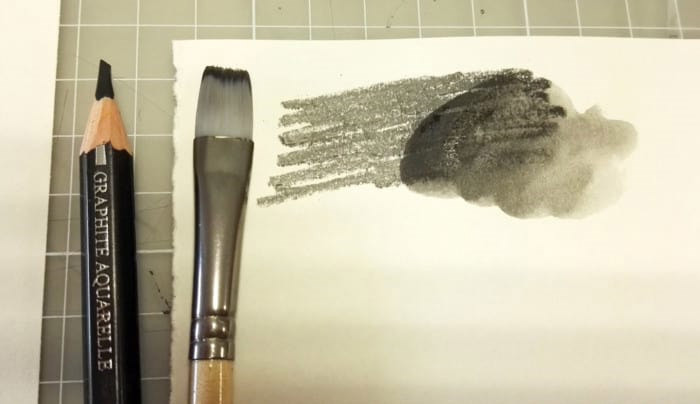 Graphite is easy to smudge, you can get a surface with graphite without even applying the pencil directly, just stain it on a separate paper and then drag that graphite on the illustration with a paper, a blur or your finger. For this we can also create masks to reserve clean areas of graphite. The result is very interesting. Another option is also to create the textures on a paper and cut the shape you want to use it as a collage. Graphite is a medium that stains a lot and cleaning is very important. Be careful not to stain the paper or protect the areas that we do not want to intervene. 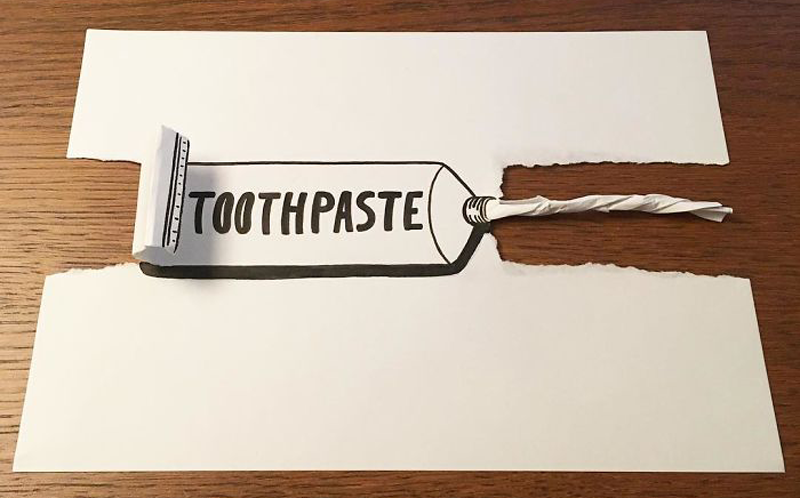 We can control the areas to which the pencil can be applied with masks made with adhesive tapes or with simple cut-out papers placed on top. You get very clean and quick effects to do. It is also very useful and very common to sharpen the pencils with a blade. 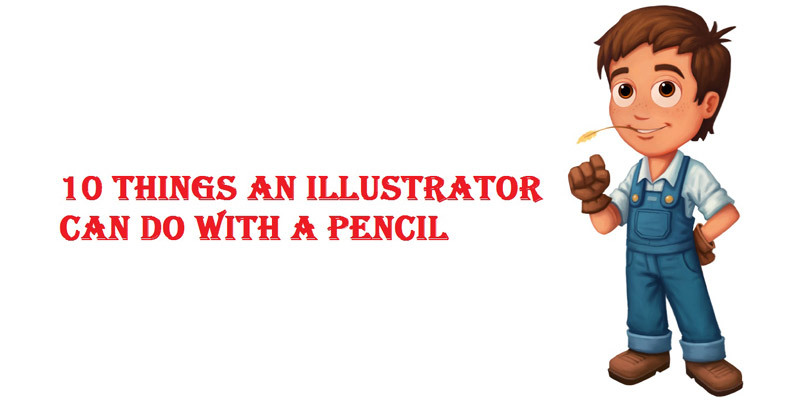 In fact, some pencils have to be sharpened as well. Anyway sometimes it’s interesting that they have a little sharp tip for what things. 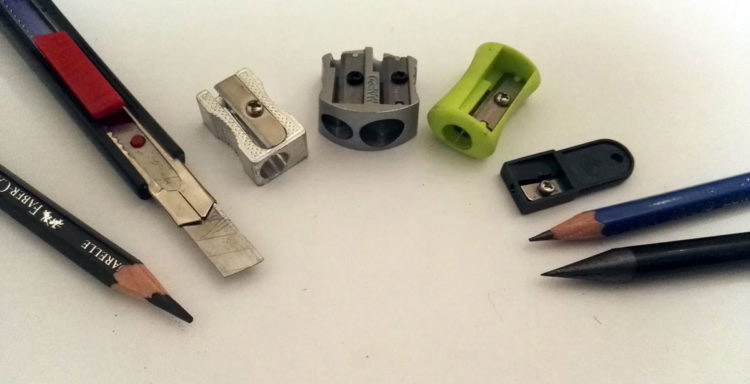 The world of erasers is even wider than the world of pencil sharpeners, where it goes! The best rubber is always the one that is clean. We must take care of cleaning the erasers by rubbing them on a blank paper or cutting the ugliest parts with a blade. A bad rubber can destroy a job. There are different types of gums in terms of their presentation. They are interesting those that allow us to erase details (rubber pencil). Another thing that you have to be careful of is the virutillas that you release when you erase them. If you remove them by dragging the edge of your hand (a very usual gesture), you can risk staining the paper. It is better with a little brush or blowing. We can also use templates or masks to erase. 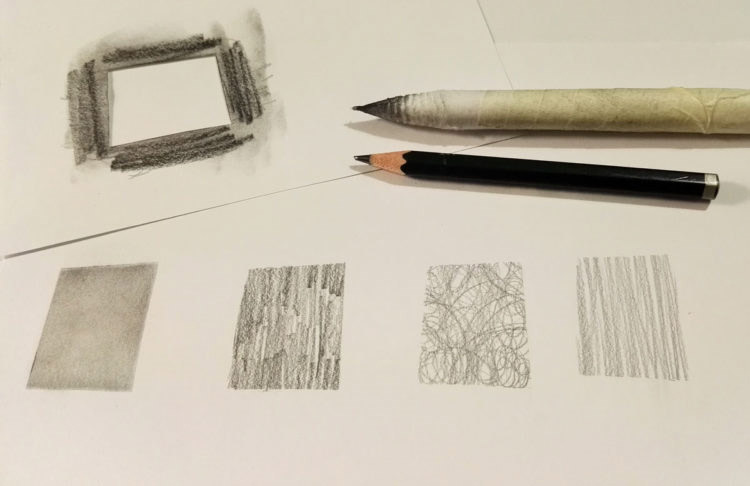 The watercolor graphite is an incredible and very versatile medium with which we can get very interesting things with just a pen and paper … and a brush , as I wrote on this website a few months ago. There are also many brands and graduations of watercolor graphite pencils. They are also sold in pill just too wet with the brush and ready. The pencils that I have been talking about, besides the watercolor ones, are generally made of graphite and clay, but there are also different pencils that we should not discard, from the propaganda pencils or that they give us around to the carpenter’s pencils, greasy pencils, pressed charcoal pencils, very specialized pencils, bad pencils … they all have their own personality to which we will always add our touch or our approach to these tools. Try them because maybe you’ll discover something magical in some of them.